It is called ‘word counter’. Simply cut and paste your writing to see if you are overusing any words. If so, grab that thesaurus and vary your lingo! To analyse means to break down in order to bring out the essential elements or structure. – Describe the time and place that this text was produced in. – Who wrote the text? – Why was the text produced? (purpose) What makes you say this? – Who was this text aimed at? How can you tell? – How do these factors influence your reading of the text? Content is what is in a text. Themes are more what a text is about (big ideas). – Describe what is going on in the text (key features). – What is this text about? – What is the author’s message? – What is the significance of the text to its audience? – What is the text actually saying? Tone refers to the implied attitude of the author of a text and the ‘voice’ which shows this attitude. 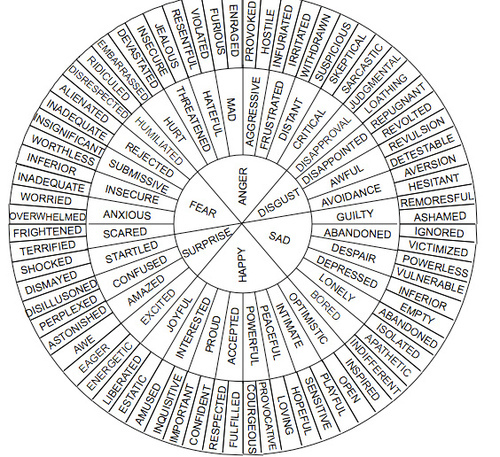 Mood refers more to the emotional atmosphere that is produced for a reader when experiencing a text. – What is the writer’s tone? – How does the author sound? – What kind of diction does the author use to create this tone? – How does the diction contribute to this effect? – What stylistic devices does the writer use? What effects do these devices have on a reader? Structure refers to the form of a text. – What kind of text is it? What features let you know this? – What structural conventions for that text type are used? – Does this text conform to, or deviate from, the standard conventions for that particular text type? Ever wanted to try your hand at writing a novel? NaNoWriMo is the term given to the movement (and the organisation that supports it) that aims to encourage people to have a go at writing a novel. It stands for ‘National Novel Writing Month.’ Every year, it is growing in popularity with eager writers in primary schools, secondary schools and beyond taking up the challenge. If you have always wanted to try and write a novel, but lacked the motivation or guidance, this could be for you! Check it out and let me know if you decide to do it – I would be happy to help you with brainstorm or drafting as well!